It’s nearly Christmas! And whatever faith you may be, living in London (as I do) you can’t help but notice the Christmas cheer… yet acknowledge the madness, hustle, bustle and let’s face it rising stress levels of many you encounter. With the Big Day just around the corner, I’m constantly aware of the mixture of feelings Christmas can bring to us. As someone who potentially has never fully grown up (do we ever?! ), my childhood excitement of Santa, stuffing (my favourite with roasted parsnips) and all things festive has never waned. Yet despite this I have experienced tragedy and sadness at Christmas time, and all too often those mixed emotions filter through. For many, whose loved ones are no longer with them, who are poorly, who are struggling or alone at this time of year, Christmas can be a very tough time of year. 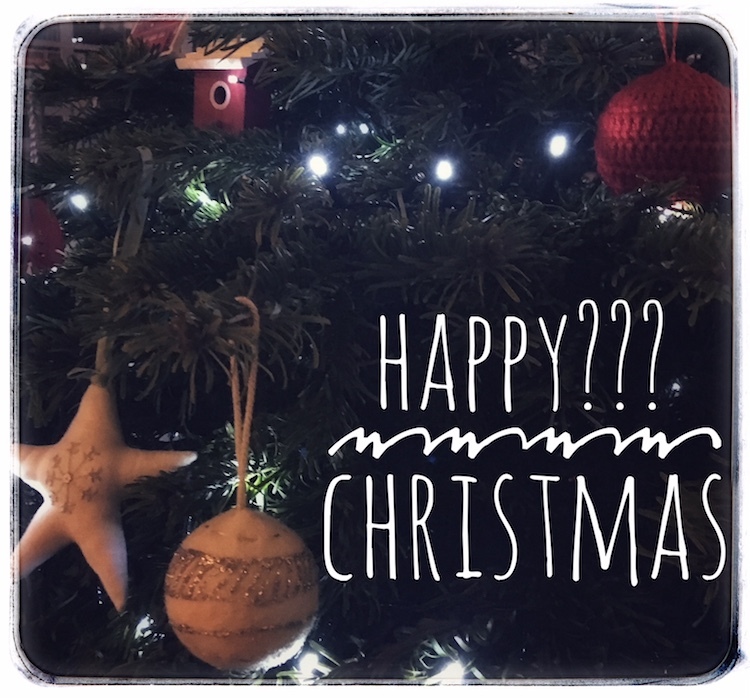 So it got me thinking about how we can navigate the sadness, challenges, difficulties at what is ‘supposed’ to be a happy time of year. Tal-Ben Shahar (teacher of Positive Psychology and The Psychology of Leadership at Harvard University) emphasises that it is important to remember that emotions of concern, anxiousness, fear and unhappiness are entirely human – it is actually important that we experience them. Positive psychology is not about denying our negative emotions but about seeing life as it really is. Often, during times of adversity, we focus our minds on our problems – and the fact is that once our attention is on something, it becomes far bigger than anything else. (Try out this this selective attention test if you aren’t convinced). Positive psychology is all about coping with the difficult times as well as recognising, maximising and appreciating the good times. We need to be constantly attending to our well-being and boost our positive emotions so that we are able to manage life’s difficulties when they arise. This has all been at the forefront of my mind these past few weeks. On one hand life has been wonderfully special (did I mention I won a BAFTA?!) and there have been many personal and professional happy goings on. But then, my poor Mum continues to be in pain and the worry and sadness of that situation surrounds. I can talk only about my journey, and how the past few years I have got better and better at maintaining that inner, deeper peace that goes below the daily goings on. I know that meditation has helped. Massively. I know that being grateful has too. Having a bigger purpose in life and following that purpose daily has been absolutely key (for me helping children and spreading love) and wearing my heart on my sleeve and bringing my internal and external words together. The more I share my passion, my goals, my dreams, my purpose, the more special people have entered my life to support, help, share and laugh. I have become more accepting. At times this is very tough for me. Mum is ill. I need to make her better, is where my head goes. Now, however, I know I have to accept the situation, do all I can to help, but also find the joy in life that is there despite this sadness. To recognise and be grateful for the many wondrous things that are present, and to always return to an inner place of peace whenever I am able. So, whatever your feelings at this time of year, whether the tears always flow, the children’s laughter takes over, you feel happy, sad, frustrated, stressed, maybe even angry, I hope very much you can find a moment to breathe, go deeper, take in the goodness around however large or small, and smile. As I burn the turkey, turn the roasties to mash, or deliver the Christmas Day dinner 3 hours late (my culinary skills leave much to be desired!) I shall run with it. Fully. Elf outfit and all. (Don’t ask! ).